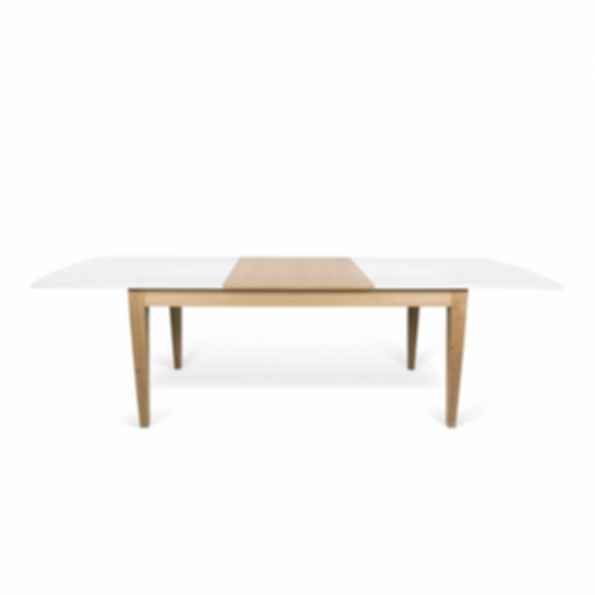 102.36w x 35.43d x 29.53h "
Extending dining table with solid wood base and legs and white tops with veneered extension. TemaHome counts with more than thirty years of experience in the furniture and lifestyle industry, having points-of-sale spread throughout thirty different countries around the world. It was firstly founded in 1981 as "Norema Portuguesa," resulting of the junction of two companies: the Norwegian Norema SA and the Portuguese Mendes Godinho SA. Together, their aim was to combine Norway's high technology, with the Portuguese efficiency at reasonable costs for furniture production. Hey, I've saved this product to my folder but the download button is blurred out. Is there a way to download it? Hi Borislava, unfortunately this manufacturer does not have any BIM/CAD files. A large number of products on Modlar do have BIM/CAD files, however, and you can find them easiest by doing a search for any kind of product (or even type in nothing and hit the search bar) and then using the 'Formats' filter.